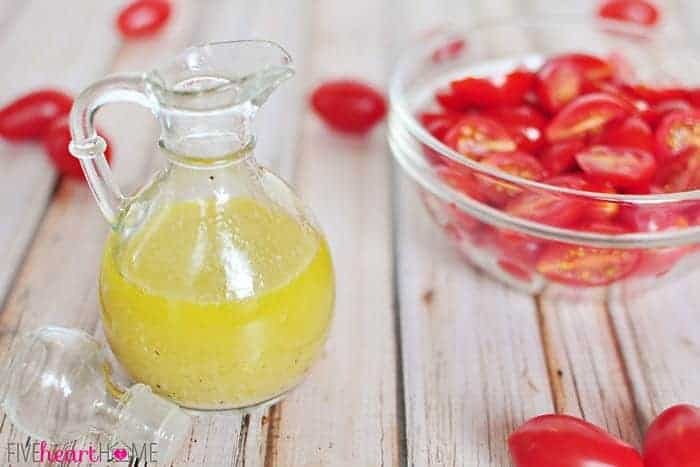 This zesty salad dressing is a tasty spin on Classic Creamy Vinaigrette that only takes a few minutes to prepare, making it the perfect complement to mixed greens, sliced tomatoes, or pasta salad. Well, we’ve officially reached the time of year that I just can’t get enough salad. 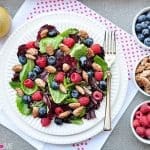 With all of the fresh produce that will be available from now on through the summer months, I’m revisiting some of my favorite salads and dressings. 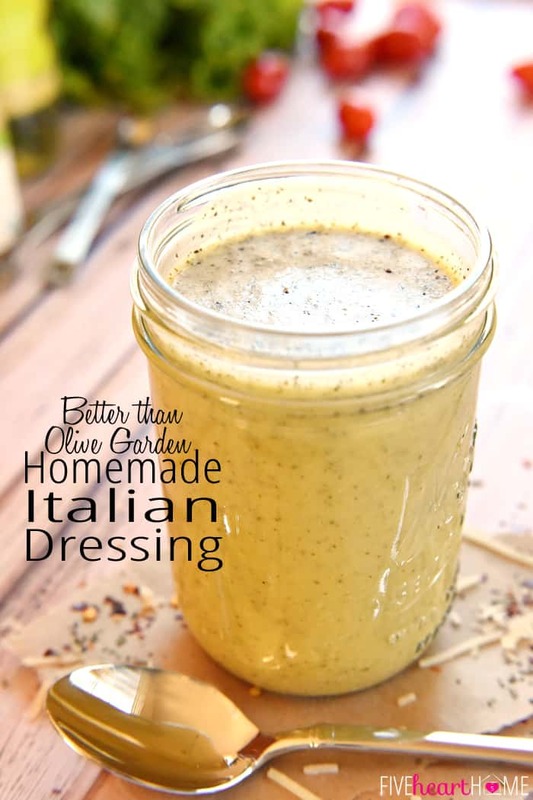 And as easy as it is to pick up a bottle of salad dressing at the grocery store, I promise you…it is so much better to make it yourself at home! Anyway, it’s true. 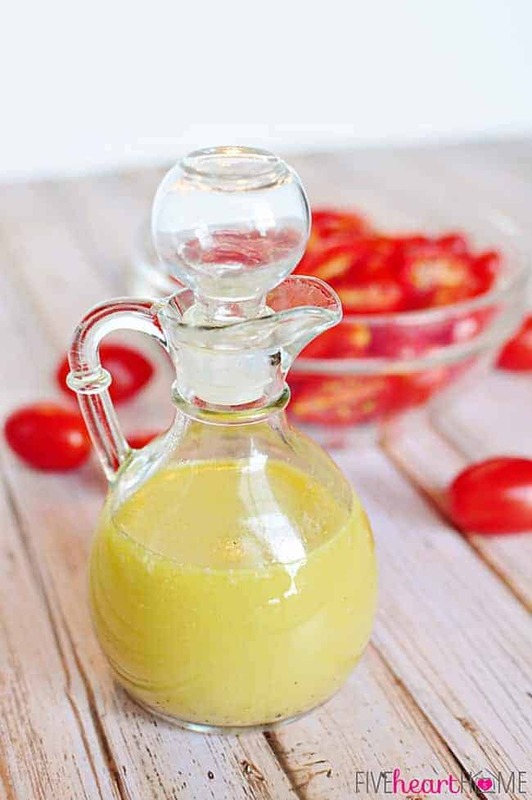 Salad dressing is super simple to make, particularly a vinaigrette like the one I’m sharing today. The most time intensive step is mincing the garlic, and that takes like, what, 30 seconds? But even better than how quick you can whip up your own vinaigrette is the fact that it’s all natural — no weird ingredients here! — and it tastes amazing. 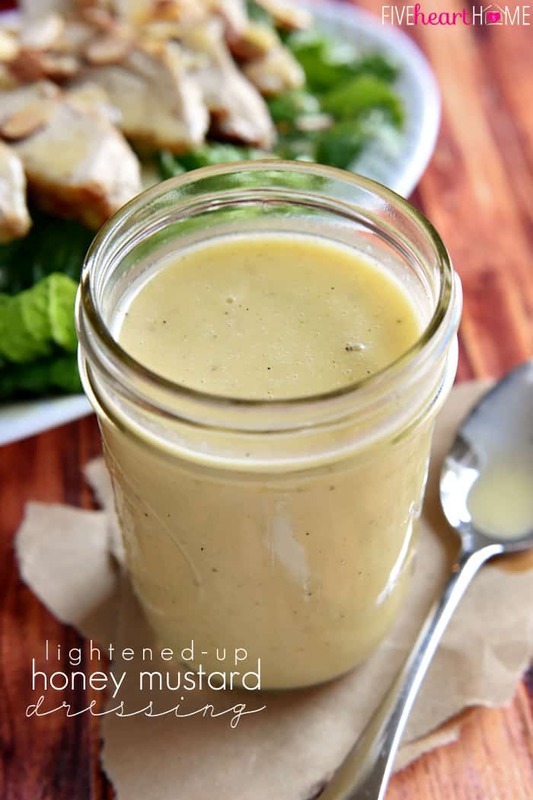 This creamy vinaigrette has the perfect amount of zip, thanks to white wine vinegar, Dijon mustard, and a splash of lemon juice. It boasts a subtle undertone of fresh garlic flavor. It also has a smidgeon of two secret ingredient that you can’t really detect: mayonnaise, for a creamy consistency without having to use a raw egg yolk, and honey to balance out some of the acidity. All in all, this is one of my favorite salad dressings ever. It’s simple, it’s classic, and it complements just about anything, from a salad of mixed greens to a loaded pasta salad to thinly sliced cucumbers to a bowl of bright red tomato halves…which is how we enjoyed it here. 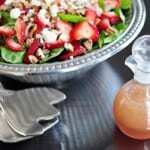 This vinaigrette is also versatile, as you can easily dress it up with your favorite fresh herbs should you so desire. But back to this bowl of tomatoes. I actually took photos of this dressing one evening after dinner, while the big kids were starting their baths and the toddler was entertaining herself with some board books. The waning sunlight was streaming through the window, I kept the photo props simple, and I was able to finish up pretty quickly. By the time I finished, however, it was time to get everyone to bed, so I left the clean-up for later. Fast-forward to a couple of hours later. The children were nestled all snug in their beds and I started cleaning up the kitchen around 9:00 p.m. This is usually the time of day that I treat myself to a bowl of ice cream or a half-dozen pieces of chocolate (hey…someone’s got to finish off the Easter candy). But on this particular night? 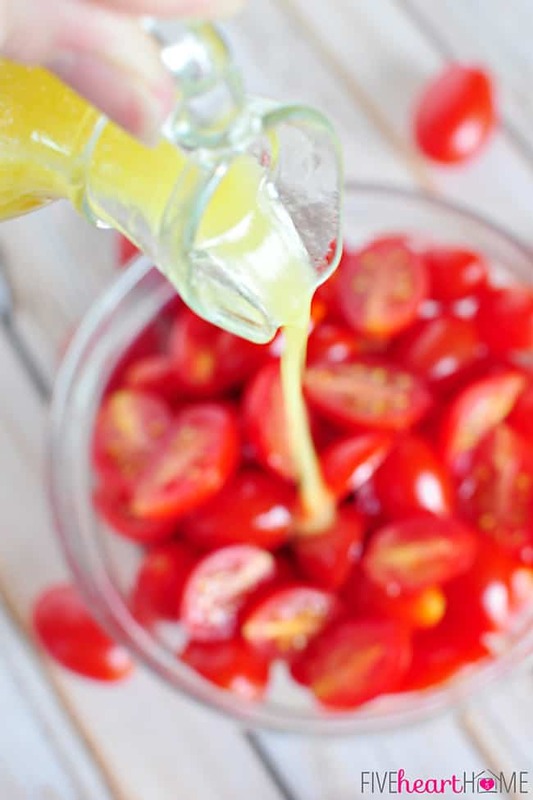 These gorgeous, ruby red tomatoes, all glistening with creamy vinaigrette, looked so dang good. So I ate them. As in the whole bowl. And they were better than candy. However, the downside to ingesting a giant bowl of tomatoes swimming in vinaigrette at an hour of the night typically reserved for bedtime is, well, hello acid! Not my smartest move. What would have been a perfectly lovely side salad with dinner ended up keeping me up most of the night with heartburn. So my advice to you? 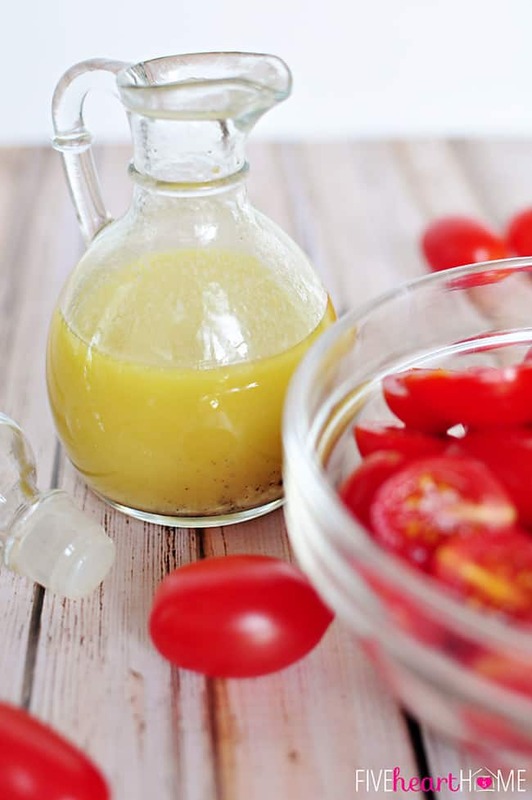 Make this vinaigrette and enjoy dousing it on everything! Just don’t inhale it with a pint’s worth of tomatoes right before going to bed. While healthy and delicious, your stomach might not appreciate that decision an hour or so later. Live and learn, folks…live and learn. 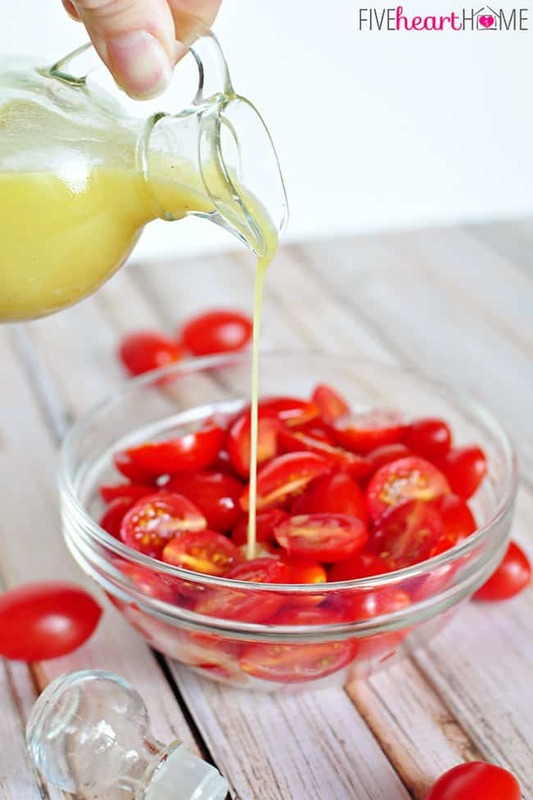 Tomato trauma aside, the next time you find yourself with a plethora of fresh produce, I urge you to take just a few minutes to whip up this Classic Creamy Vinaigrette! 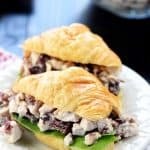 I think you’ll be surprised at just how delicious and versatile it truly is. Measure white wine vinegar, lemon juice, mayonnaise, Dijon, honey, minced garlic, salt, and pepper into a bowl and whisk together thoroughly. Continue whisking while slowly adding olive oil. Taste and adjust seasonings, as desired. Store in the refrigerator (because of mayonnaise) but allow to come to room temperature for a few minutes and shake well before serving. Mince one clove of garlic very finely, then use a fork or the flat side of your knife to mash it. Measure out 1/2 teaspoon to add to vinaigrette. As an alternative to whisking, you may measure all ingredients into a jar with a tight-fitting lid and shake vigorously. Or you may combine everything in a mini food processor and process until well combined. I am guily of buying dressing too. I try and have just balsamic vinegar but sometimes you just want ranch or blue cheese 🙂 Thanks for the recipe. 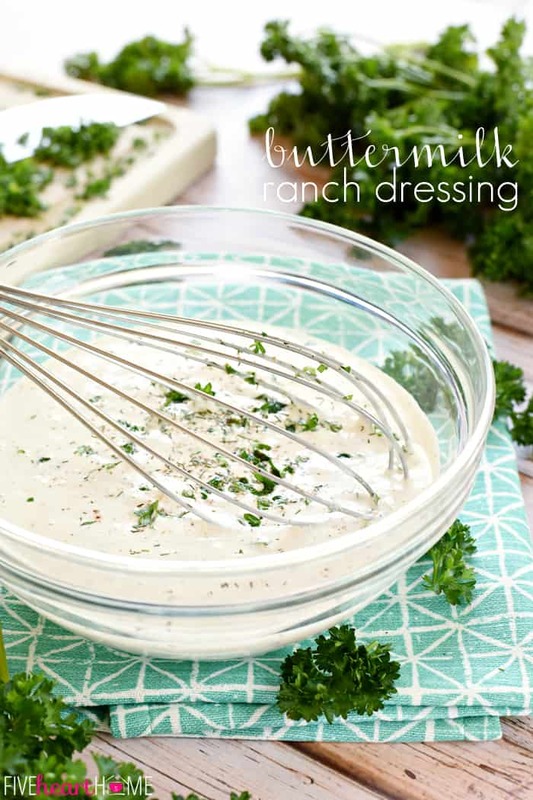 I hear ya, Janet…ranch and blue cheese are even better homemade as well, but they do take a bit longer to make than a vinaigrette. 😉 I hope you enjoy this one! Thanks for taking the time to leave a comment…have a great week! 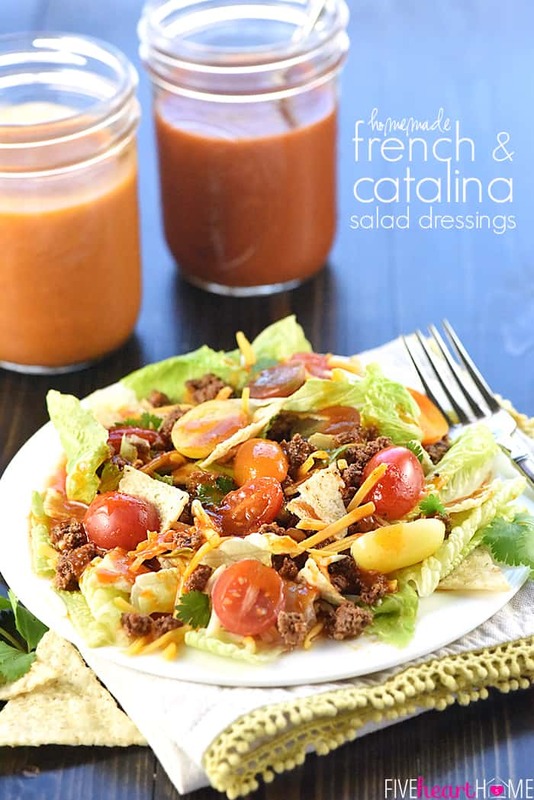 Fabulous vinaigrette recipe! Fresh salad dressing makes so much difference. I can’t wait to try. Pinning! 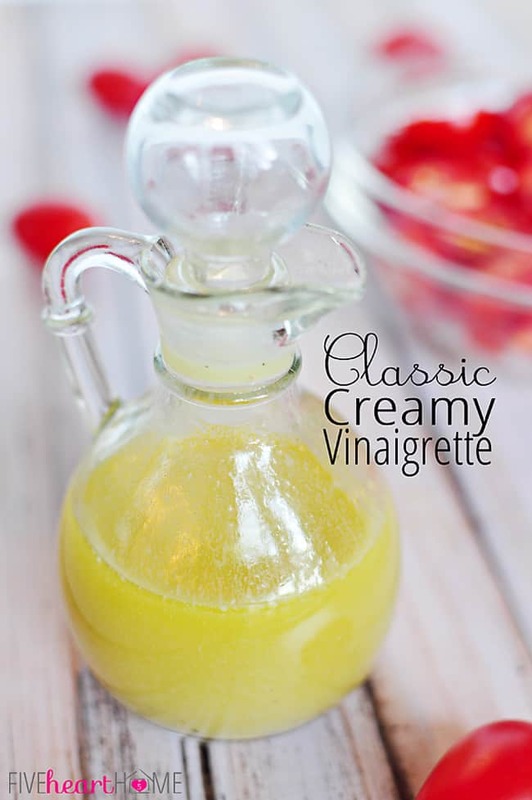 Yummy.. love this vinaigrette. pinned to try. I think the combo of mayo, mustard and honey sounds delicious. found at kitchenfun linky. Have a wonderful weekend. It sounds so delicious! So does the bowl of tomatoes. I probably would’ve eaten the whole bowl too! 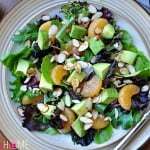 I added the recipe to my Pepperplate app. Can’t wait to try it! Thanks so much, Jessica! 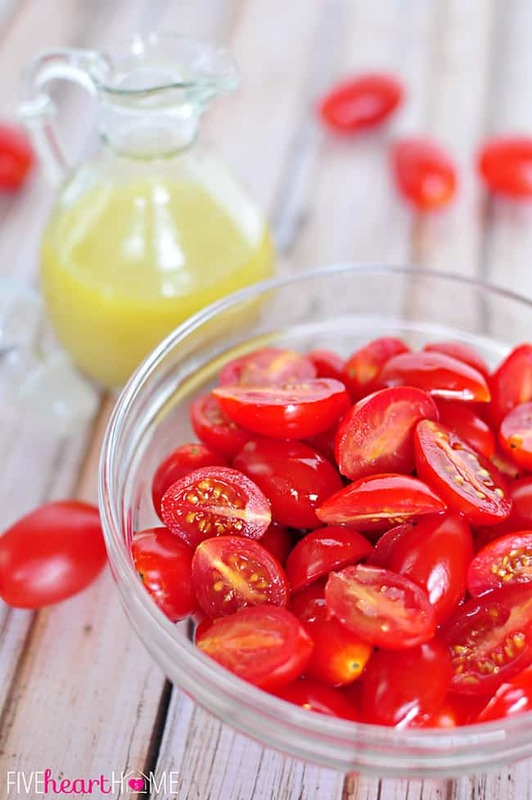 I’m glad I’m not alone in my tomato/vinaigrette addiction. 😉 Hope you enjoy this when you try it…I appreciate you stopping by!